I just received my second statement for Project Fi since signing up on July 2. The total? Only $20.21. Thanks to Project Fi’s Unused Data Credit, the unused portion of the $50 I paid at the start of service for 3GB of data is refunded onto my next month’s bill, saving me quite a substantial amount. At signup, I opted for the lowest tier they offer to start, which is 3GB, but found through the Project Fi app that I wasn’t using all that much, so I dropped my monthly allotment to just 2GB. 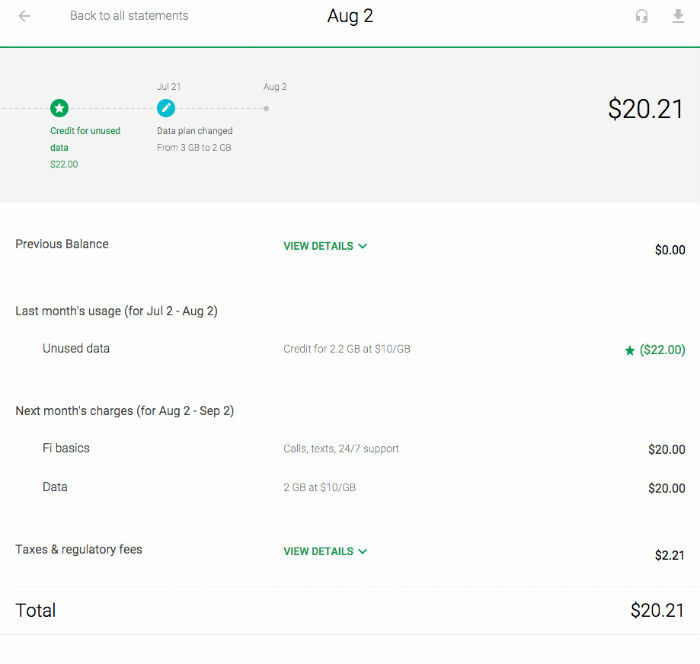 With Project Fi, you pay for what you use, and if you happen to go over, Google won’t pull your teeth out — simply up your allotment and pay for it at the end of the month. I am fortunate to have a job where I sit next to a WiFi hotspot all day long, so I am not the best example of a person who goes through a ton of data each month. However, with how simple Project Fi is to understand in terms of billing, anyone can master it within 5 minutes. 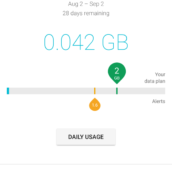 After a month of regular usage on the network, I have a pretty good understanding of what to expect from Google’s Project Fi, so allow me the time to share my story with you. After waiting a few weeks and finally getting my invite to Project Fi, I went ahead and had them send over a Welcome Kit. The kit includes your Project Fi SIM card, a set of headphones, portable battery bank, and Nexus 6 case. I already had a Nexus 6 on hand, so I didn’t have to shell out for one at the start of usage. Getting set up was insanely easy and straightforward. To start, everyone pays the base $20 for unlimited talk and texts. Then, a flat rate of $10 per GB is added on top. For example, if you want 3GB of data, your monthly bill will be $50. If you don’t use all of your data, you receive an Unused Data Credit on your next statement. 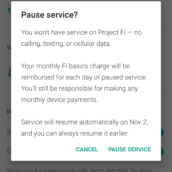 When activating service, you will choose your number on Project Fi (if you opt for that), how much data you will want each month, and then you enter in a credit card to be billed each month. Through the dedicated app, all of this editable, except for your phone number. That stays the same. Once activation is all said and done, you are ready to use your phone. When compared to other carriers’ pricing, Project Fi is highly competitive. Let’s break it down quickly. $20 a month is your base price (aka line fee), no matter what. That nets you unlimited talk and text. Each 1GB of data you consume costs $10. No matter how much or how little you use, it will always be $10 for a GB. Need 10GB a month? That’s $100. Need 3GB? That’s $30. Compare this to Verizon or AT&T. 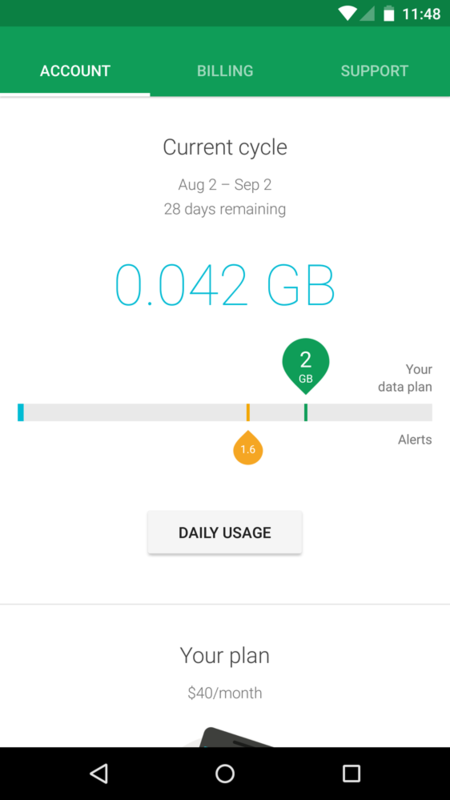 We recently wrote a post, detailing how much your monthly bill is on a single line with 3GB of data. Included in those prices usually are device loan programs or insurance, so for the sake of clarity, let’s just assume you own your device outright and are not making monthly payments for it. On Verizon, a 3GB plan is priced at $50, with a line access fee of $25. That’s $75 a month. 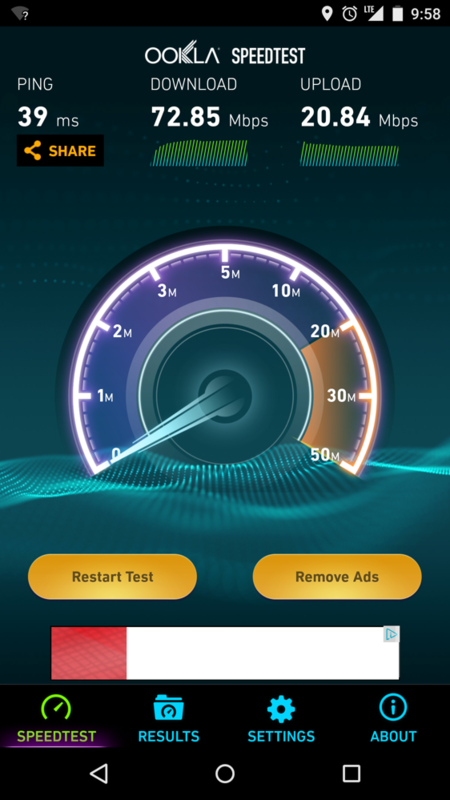 AT&T is not much better. Your 3GB will cost $40, with a line access fee of $25, equalling $65. 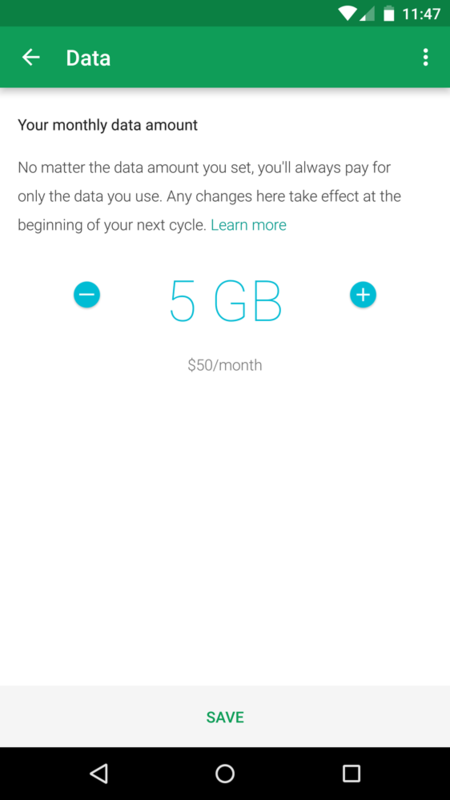 On Project Fi, for 3GB of data, your price will $50, plus a couple dollars for taxes and fees. 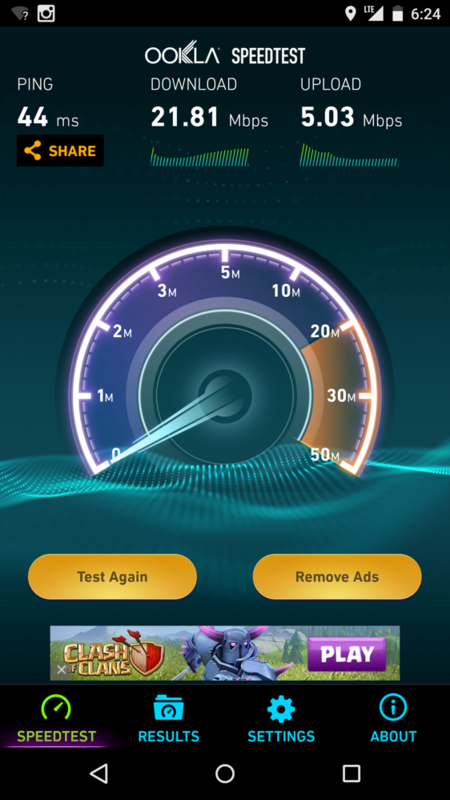 Sprint and T-Mobile are the only two carriers coming close to this, with T-Mobile pricing 3GB of data at $60 with no “line access fee,” but technically unlimited throttled data after your 3GB is used up. Sprint is a tad different, as it implemented the All-In plan, which is $80 a month for unlimited everything. The All-In plan also factors in the lease price of your phone, all under one price. 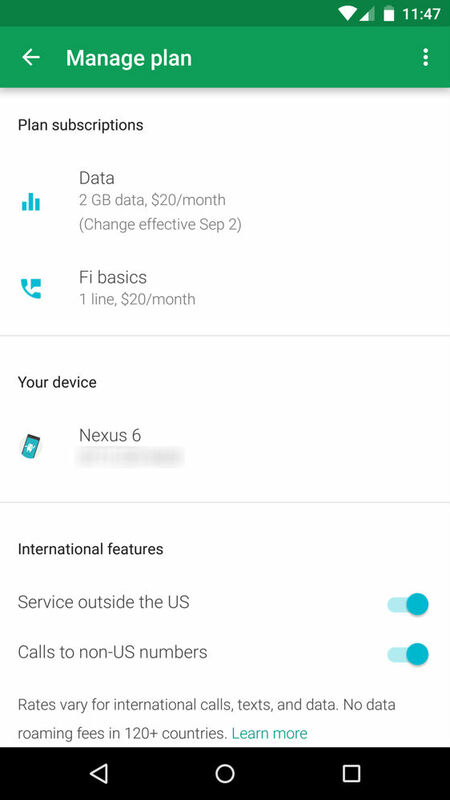 As I stated, Project Fi simplifies this process to the barebones, which to me, is very much welcomed. When you near your data usage limit, Fi will notify you through the application, asking whether you would like to add more data. There is no fee for this or any type of funny business. 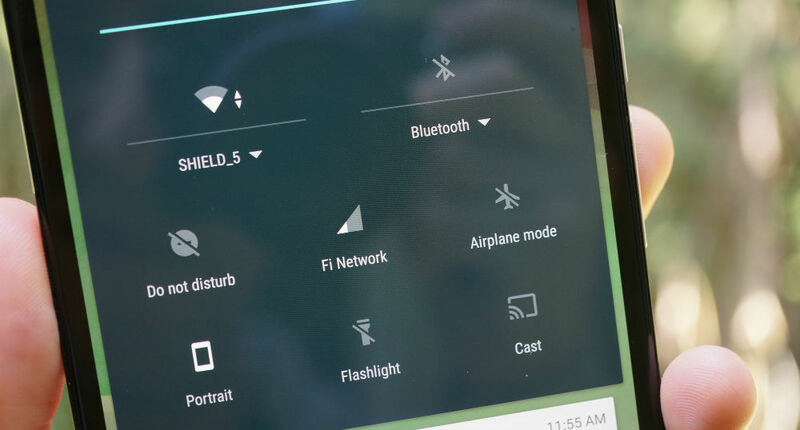 Google asks that you keep your WiFi on whenever using your Nexus 6, as the service will automatically connect you to any open WiFi hotspot it can find. Although, Google notes that they test each connection to be fast, and pass all information through a VPN for data security. When not in range of WiFi, your phone will fall onto a cell tower; either T-Mobile or Sprint. 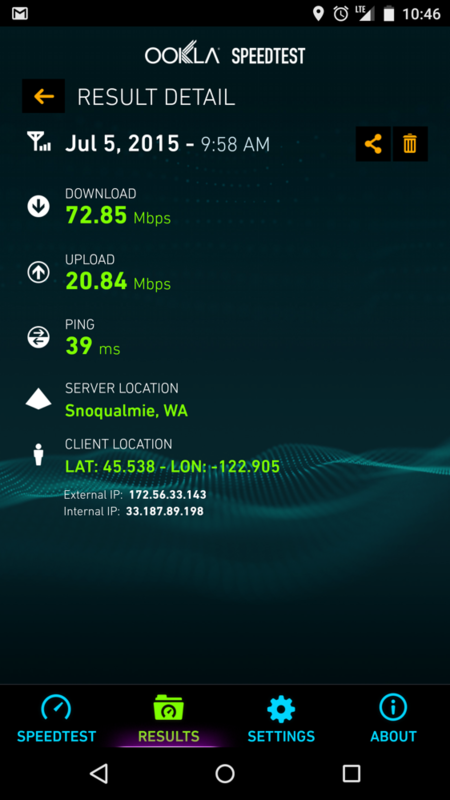 Through the duration of a month, I ran speed tests here and there, and then checked the details to see if I could pinpoint which network I was running on. 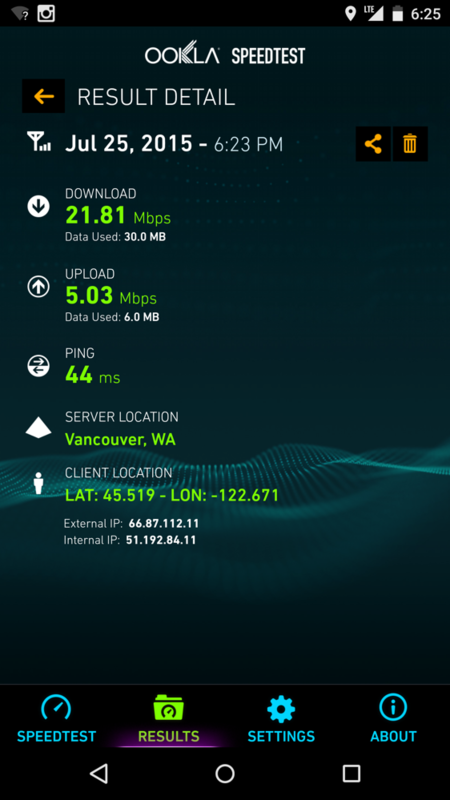 From my findings, I mostly ran on T-Mobile towers and had great speeds. There was one time I went to the Oregon Coast, which had me at crawling speeds, but that’s just part of the coastal experience. 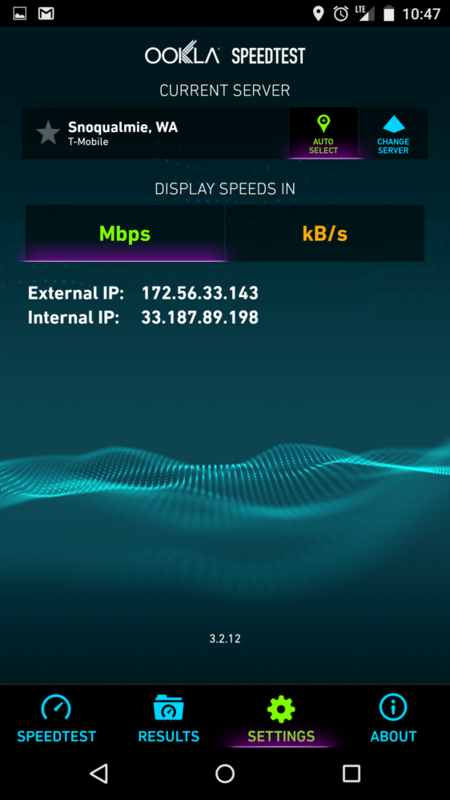 To be honest, I was half expecting my experience with data speeds to be rather poor, given where I live. 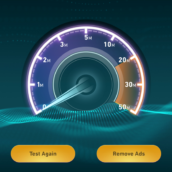 I have ran T-Mobile phones and Sprint phones before, never coming away impressed with connection. 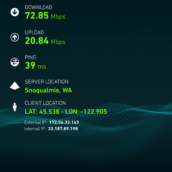 But on Project Fi, speeds were solid as long as I was not inside an elevator or walking my dogs through the woodland parks. 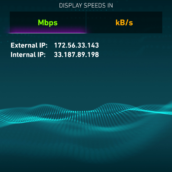 On average, I was seeing about 20Mbps download and 5Mbps upload. For most people, that should be more than fine. The thing everyone needs to keep in mind is, my experience will likely differ greatly from yours, as where you live and your connections are not the same as mine. I can only attest for my experience with the service, and for me, it was solid. 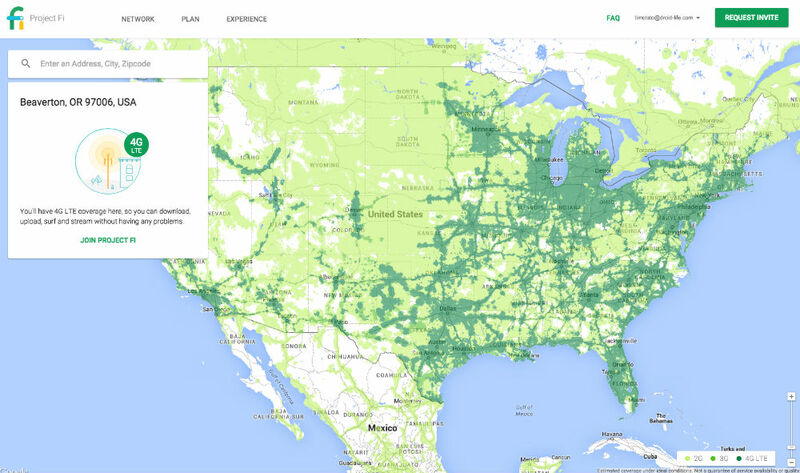 On the Project Fi website, a coverage map can be viewed to see if you live in an area where Fi will be a viable option for you. And be sure to check spots where you travel to frequently as well. Usually, I enjoy the security of having a carrier with nationwide coverage, as I do a bit of traveling. But since Google utilizes T-Mobile and Sprint, I can rest assured that I am either going to have WiFi, or can find a bit of service. There were no times when I was completely out of signal, left stranded on the side of the street, cursing Google’s name. 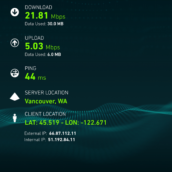 Below you can view my speeds from tests I ran around the Portland, OR area. 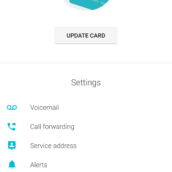 Inside the Project Fi application, getting answers to your questions is one call away. Sure, you can call your current carrier anytime you want, too, but something about it being Google makes me a bit more confident in the support I will receive. Before you call or email, you get an estimated wait time, allowing you to choose if it’s a good time to seek support or not. Over the course of a month, I never saw the wait time surpass 1 minute, so that’s a good sign. 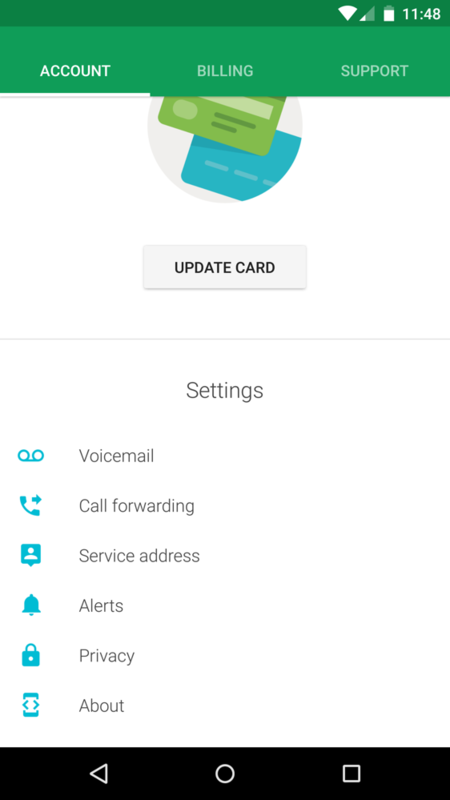 Of course, we don’t know exactly how many people are using Project Fi currently, but since the service is still relatively new, support should continue to be excellent. There is also an official Google+ community for Fi users, currently serving a little under 5,000 members. Here, you can get answers from fellow Fi users, or even post feature requests for the future. There is a dedicated FAQ section, containing answers to all of your basic questions that don’t require one of Google’s reps to help you. 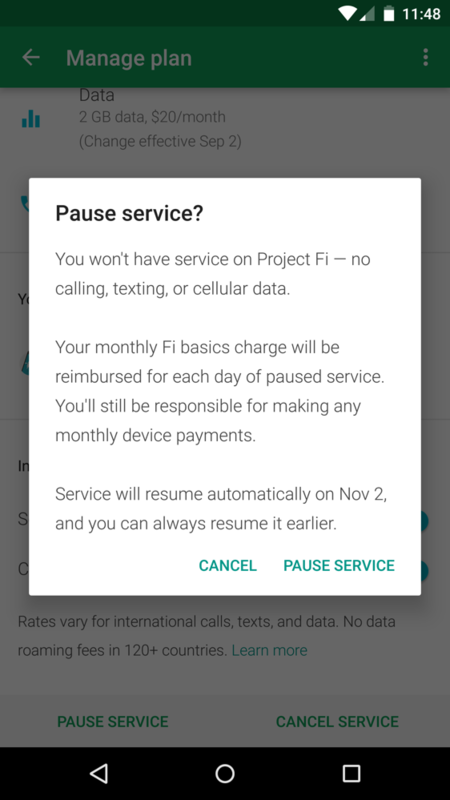 The only issue I have with Project Fi is not with the service itself, but with the phone I am required to carry in order to use it. Right now, Project Fi is exclusive to the Nexus 6, and if you don’t care much for a 6″ device, then you may not enjoy yourself. 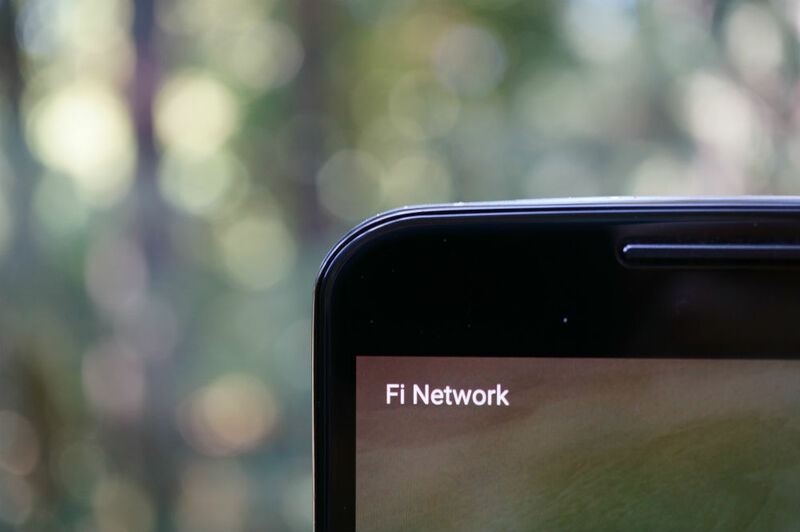 Personally, the Nexus 6 is not my choice of phone, and I wish other phones were compatible, but my guess is that Google will bring support for Project Fi to any upcoming Nexus devices released later this year. If you don’t want to use a Nexus 6, stay off of Fi, but don’t be afraid to request an invite if the service interests you. Your invite won’t expire. Once we have more phones that are compatible, I could see this service really catching on. After a month, my conclusion is, I don’t want to use the Nexus 6 anymore. Project Fi has treated me well, and I do enjoy using it, but my hope is that Google will allow for new Nexus devices to run on the network. My bet is that they will. However, until that time, the Nexus 6 does not fit into my lifestyle. 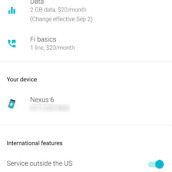 As for Project Fi itself, the service could not be more easy to use and consumer friendly. There are no surprises each month, and you pay for what you use. There’s no rollover data crap or insane overage charges. It just works. One could argue Google tends to oversimplify services, but in an industry filled with small text and hidden fees, Google is a welcomed competitor in the space. If you currently own a Nexus 6, there is no harm in trying a month out. But again, if the Nexus 6 is not a device you want to be toting around, just wait until more devices hit the market that are compatible.